LAST TO PODIUM FIGHT BACK IN SPA DRAMA!! 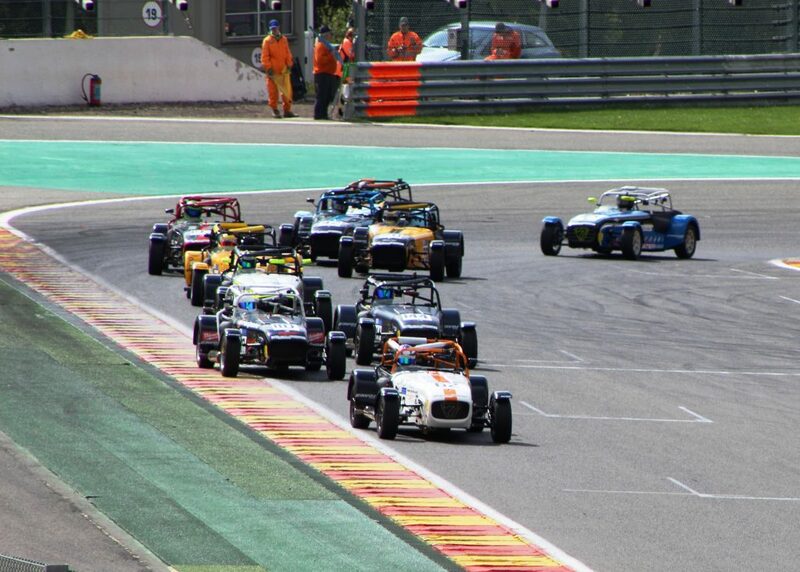 Ben Tuck again proved his credentials by staging a stunning drive from last to podium at the weekend at the legendary Spa-Francorchamps racing circuit in Belgium. In an uncanny repeat of his last outing to Spa in 2015, Ben Tuck again demonstrated his affinity with the iconic Formula 1 circuit by driving a spectacular charge through the entire field after a near catastrophic crash on Saturday. In what was to be a weekend of mixed weather and mixed fortunes, Ben Tuck recovered from the devastating accident in Race 1 before leading and then taking an incredible 2nd place finish on the Sunday in Race 2. Amid the changeable weather at the beautiful track set in the hilly Ardennes forest, the weekend’s problems started in qualifying. 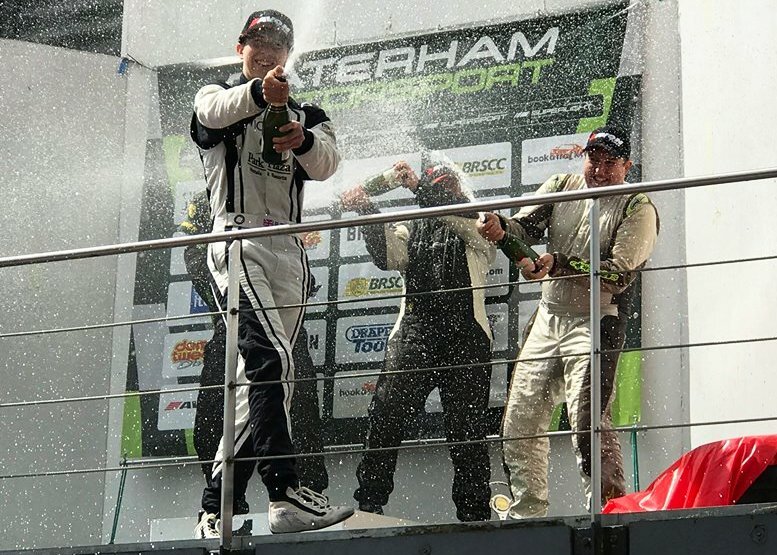 Ben’s Team, PT Sports Cars had prepared his #62 Caterham Supersport machine to perfection and Ben calmly posted a qualifying time 0.4 seconds quicker than anybody else. However, due to an administrative error, he was only credited with his second fastest time, making him 5th. With all appeals and protests being rejected, Ben was forced to roll out on the 3rd row of the Caterham Supersport grid for Race 1. In a departure from the normal format, the race was run with 2 classes starting on the same grid with the Caterham 420R class lined up in front of the Supersport grid. This effectively resulted in a grid slot some 15 rows back from the lights and directly in the middle of over 50 cars in the headlong rush to the hairpin corner at turn one. At lights out Ben got away cleanly, however the inevitable collisions occurred at the first corner resulting in near stationary cars on the track when Ben arrived. The resulting impact caused massive damage and resulted in Ben having to retire the car. The PT Sports Cars pit crew swung into action and worked on into the night to rebuild the battered #62 car and by Sunday morning, it was fully operational and ready to go. As Ben lined up in 23rd and last place, his perspective was all too familiar. In 2015 Ben started a Mazda MX-5 race at Spa in 36th position at the back of the grid after a DNF in Race 1. The race ended with Ben claiming 5th and taking the unofficial Mazda MX-5 Spa-Francorchamps lap record. This year, Ben was determined to better that record. Over the next 35 minutes Ben put in a mesmerising performance, carving his way through the field, reaching the leading pack just 2 laps later. It took him 6 more laps to take the lead of the race triggering a fierce battle for the honours. 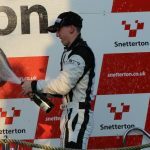 After a confusing final few minutes when the officials showed the last lap board one lap early, Ben eventually crossed the line in 2nd place, having taken the Spa Caterham Supersport lap record to go with 2016 Croft Caterham Supersport lap record. Undoubtedly, Ben performance at Spa underlines his ability in sportcars, made all the more important as he is eyeing a move to GT4 for 2018. Ben next races back in the UK at Brands Hatch on 3rd and 4th June 2017.